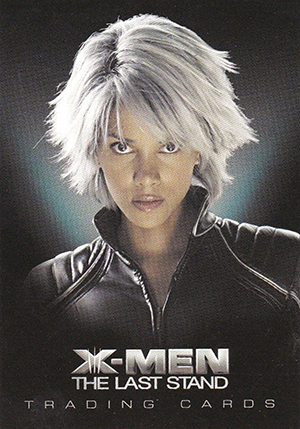 As far as the main X-Men movies go, the general consensus is that the third film is the weakest. However, as far as trading cards go, it might be the best. 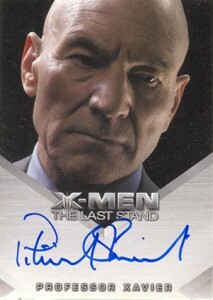 2006 Rittenhouse X-Men: The Last Stand offers lots of variety, the film franchise's first sketch cards and a very strong autograph list (even if some of the best ones are incentives and not in packs). The base set has 72 cards and is broken into three very distinct subsets. 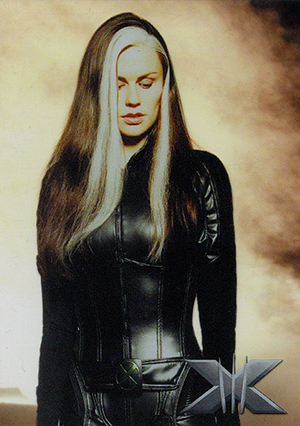 After the title card, 17 character cards profile the film's many heroes and villains. The set also includes Movie Action and Quotable cards that look at specific moments of the film. Autographs are the big box hit. 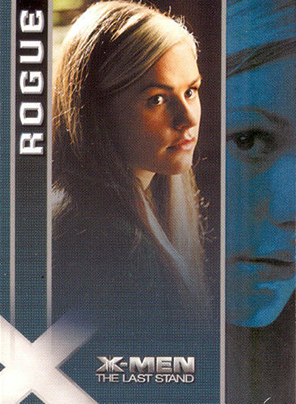 In packs collectors can find the likes of Patrick Stewart, Anna Paquin and James Marsden, all of whom signed for either Topps' X-Men or X2 sets. Rittenhouse added several other signers, including Kelsey Grammer, Vinnie Jones and Olivia Williams. In addition to the pack-inserted autographs, there are a few that aren't in packs. The most valuable is Hugh Jackman who was a six-case incentive. Iconic Marvel creator and spokesman Stan Lee was a two-case incentive while director Brett Ratner was a case topper. Finally, there is Academy Award nominee Shohreh Aghdashloo who was only available in the album. 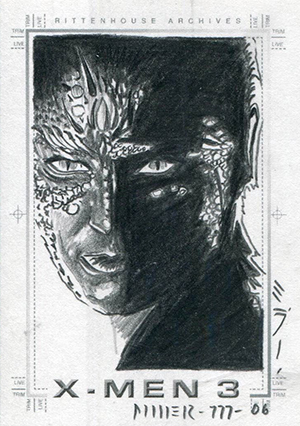 SketchaFex sketch cards land 1:320 packs. Though the artist checklist is small, all are high-quality pencil renditions. 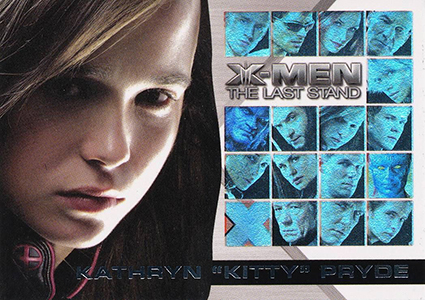 2006 Rittenhouse X-Men: The Last Stand also has several basic insert sets. Art and Images offer characters on a canvas-style card stock. Casting Call uses foil as another way to highlight characters. Other inserts include the rare Take a Stand and Wolverine: Portraits of a Hero. It is worth noting that this is one of a handful of Marvel-themed sets that Rittenhouse produced in partnership with Upper Deck. 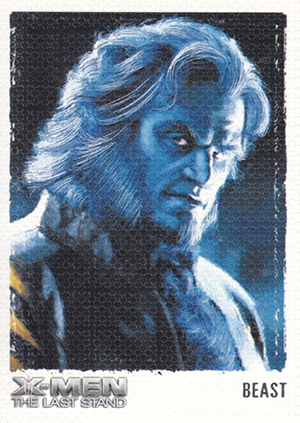 2006 Rittenhouse X-Men: The Last Stand boxes have 40 packs of five cards. 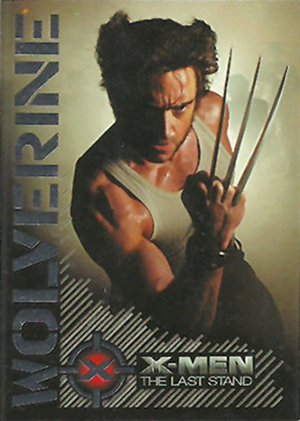 Hugh Jackman X-men The Last Stand Movie Topps Autograph Wolverine Logan RARE! 9 cards. Inserted 1:40 packs. Inserted 1:40 packs. Incentives and exclusives not found in packs noted. Michael Murphy as Warren Worthington, Sr.
16 cards. Inserted 1:20 packs. 6 cards. Inserted 1:80 packs. 9 cards. Inserted 1:13 packs.